Bloggers using WordPress must be completely aware of the importance of plugins. This post brings you the list of best WordPress plugins I use at bloggingio. Plugins help us in various ways and frankly, WordPress is nothing without plugins. To improve the performance of a blog or to rank a website using SEO or need to improve affiliate sales and conversions, for everything, there is a plugin for WordPress. WordPress is the CMS with the most number of plugins, and that is too a reason why WordPress is widely used. I get frequent emails like this from my visitors to write a post on the plugins I use for my site. So I thought to write this post, and I am finally publishing it today. The plugins are displayed in alphabetical order A-Z. As per my working style, this is my best WordPress plugins out there in the market. However, different people have a different set of best WordPress plugins, and if you think any plugin works better than I posted here, please let me know in comments, and I will try to use it on my blog and then I will update this post it accordingly. Anti-spam is a smart plugin that prevents spam in comments without any captcha. Unlike Akismet, there is no moderation queues and settings page which makes it easier to use and a huge time saver for me while comes to moderating comments. Just I will get a message like this, above my comments dashboard. I will not worry much about 404 pages in my blogs because of this plugin. Backlinks Saver automatically redirects such pages to homepage thus saving link juice in SEO. This plugin helps you to add an click to tweet boxes into your posts, pages or anywhere you want. This plugin is highly customizable, and it gets regularly updated. It was inspired by click to tweet plugin, but this plugin provides better things like correct character limit, remove via links. Better Internal Link Search improves the internal default link searching feature in many ways, thus making it easier to find the content I want to link. This plugin is a huge time saver for bloggers who adds many links in their blog posts. I was a fan of Google Analytics plugin made by SumoMe until they started urging me to install another SumoMe lead gen plugin through notifications in my WordPress dashboard. I mean, it's so much irritating to see a notification whenever I login into my admin panel. Forgot those things, this plugins rocks to the core come with a simple UI thus helping me to see what I want. I can watch my real time visitors, traffic sources and much more without logging into analytics. I don't know much about this plugin, and when I was with Stablehost, I got resource-limited error message frequently, and their support advised me to use Heartbeat Control WordPress plugin and it, is good to install this plugin, especially if you are on a shared hosting. This plugin allows you to easily manage the frequency of the WordPress Heartbeat API with just a few dropdowns. I'm a huge fan of WP Rocket WordPress plugin, and when they introduced this plugin, I straight away got it and using it right now. I can say this as best WordPress Plugins than Smush it. This plugin helps you to reduce image sizes without losing quality or losing quality ( you can make your own choice), thus makes your website load faster than ever. This plugin along with WP Rocket is a great gift to website owners. Another rock solid product from iThemes. iThemes Security was earlier known as Better WP Security. It is one of the most popular security plugin available in WordPress repository for free. You can secure your website by 30+ ways which are more than enough to secure a WordPress site.This one is not only the best WordPress plugins 2019 but also an must have plugin for WordPress blogs. There is a paid version too which contains security features like two-factor authentication, google recaptcha and wp-cli Integration. Also, know as P3, Plugin Performance Profiler is a plugin that generates a report of all the plugins used in your website and lets you know which plugins are slowing down your website. This plugin has thought me never to use any official WordPress plugins like Jetpack, Akismet and few others which take large memory and makes my site load slower. This plugin is a gold mine which let me to choose the best WordPress plugins from a list of thousands of plugins. By using this plugin, you can customize the links used on your website. You can manage, beautify, track and shrink any link. You can use auto tweet, cloak and shorten links to make it more appealing. This plugin also tracks the detailed information of the hits received on the link. See the plugin hides the affiliate links and also makes it to look good. Cloaking affiliate links are something mandatory since Google won't like affiliate sites. Q2W3 Fixed Widget is a handy plugin for bloggers who want certain widgets to scroll along with the pages. You can check how a Call to Action widget scrolls throughout the Fastcomet review post. SEO Friendly Images is a top notch (but not updated frequently) WordPress plugin which automatically inserts ALT and TITLE attributes to all images. I think you are aware of using ALT and TITLE attributes helps you to achieve higher rankings. While I use other plugins for my niche sites, I consider the mentioned plugins are the best WordPress Plugins 2019 one should try. This plugin lets your website visitors to like or tweet your website's content on their social media profiles to view the content. Visitors cannot view the content if they don't click the social media button. This increases the number of shares for our social media pages, and You can lock any content with the help of this plugin. It is a great weapon to increase the social signals for my website. I hidden a plugin and its details just to show you an example. 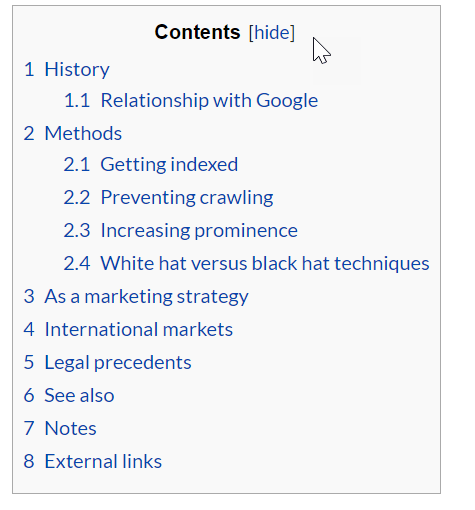 Like this Wikipedia styled table of contents box? WordPress has everything you need, and this plugin does the same job. Table of Contents plugin creates a Wikipedia look alike table of contents boxes or content specific indexes of long pages and custom post types. There is also a settings page by which you can choose which types of heading ( H1 to H6) can be displayed. I'm also doing SEO Experiments with this plugin, and the results are promising, and I will write a separate post about it since it was much deeper into SEO. Tablepress is a handy plugin to display beautifully designed and full of feature tables in your posts and pages. You don’t need to write code to embed tables, just create the table, and the plugin will display random shortcodes for tables. You need to add the shortcode, and the table will be visible everywhere. In my FastComet Comparison post, I used Tablepress plugin to compare various web hosting companies with FastComet Hosting. I arranged the plugins in the alphabetical order and so this plugin "Thrive Leads" is at the end, else I would be placed it at the top of this article. Thrive Leads is just like a car key. To Ignite your car, you need a key. LikeWise, I consider Thrive Leads as a key to ignite my WordPress sites. I can't imagine a WordPress site without this plugin since it's the most advanced lead generation plugin, I ever used. Most of my sales come from my email lists since I share some exclusive deals and SEO stuff with them. So, I think Thrive Leads is simply phenomenal and a best WordPress Plugins to use. When you visited this post, you might be visited a popup and an orange screen optin form. They are built and deployed using Thrive Leads. Thrive Leads me to design most beautiful opt-in forms with some simple clicks ( you can also use 50 + pre-built optin forms available inside the plugin ). You can AB test, advanced retargeting, accurate clicks and conversion tracking and you can get an overview here. 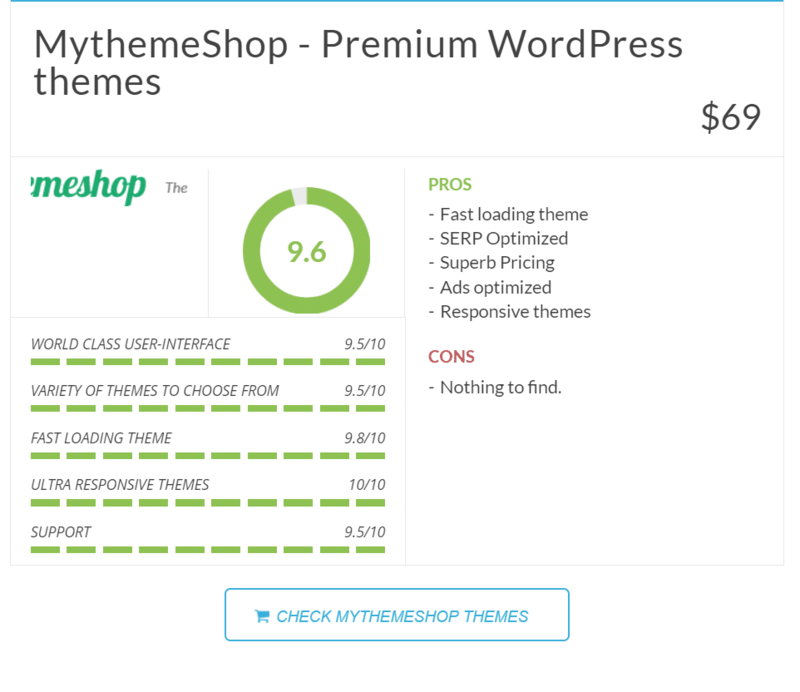 Another solid stuff from Thrive Themes ( builder of Thrive group of Plugins). When I started using this plugin for the first time, I felt like a web developer =D. Trust me; it's true. I can customize any part of the WordPress website with my creative skills through this content builder. The only thing I need to do is drag and drop the things. I designed the following pages for my sites and clients. Some of the things, I admire the most with Thrive Content Builder is the Conversion focused call to action boxes and buttons, attention-grabbing content boxes, pricing tables, countdown timers, responsive and retina ready icons and this goes long. Content is the king in the digital marketing and headlines make it appealing. If your headline is attractive, then you will get more hits and then more income. While there are multiple headline optimizer plugins in the market, THO is somewhat different. Most plugins optimize headings based on external traffic sources, but Thrive Headline optimizer relies on internal traffic sources. I explained why Thrive Headline Optimizer is the best when compared with other plugins in this post. WP Edit is a plugin with added features for default WordPress editor. You can easily insert clipart, images, media and even YouTube videos in your content. You can create and adjust tables via a graphical interface. Everything from cell borders to background colors can be customized according to your wish. WP Rocket is easy to use a plugin with amazing features to improve the performance of your website. You can perform functions like page caching, cache preloading, browser cache, cache preloading, GZIP Compression, Google Fonts Optimization and compressing static files with the help of this plugin. The lazy load image plugin helps me to site the load text faster and then loading images based on the need. This practice significantly improves the load time of the page. This advanced technique is used by many popular social media networks like YouTube, Facebook, and Yahoo. This one is best WordPress plugins compatible with multiple languages and has the multisite compatibility. WP-Sweep as the name suggests cleans up all the unused and unwanted data in your WordPress. The plugin can be used to clean up revisions, auto drafts, deleted comments, orphaned user metadata, unused terms, orphaned term metadata, duplicated post metadata, duplicated term metadata. It cleans up all the junk files in your WordPress and renders the performance of your website. Mostly, it uses WordPress delete functions instead of direct delete MySQL queries. Thrive Ultimatum is a plugin for scarcity marketing. Scarcity marketing is an important aspect of any business. If you create the urgency on your website, then you can sell whatever you want. Thrive ultimatum lets you take complete advantage of the scarcity marketing thus increasing your conversion rate. With the help of few clicks, you can easily create a campaign like a limited time sale. The plugin also supports you in managing campaigns by starting and stopping the campaigns on the specified dates. If you own an e-commerce store or Amazon affiliate site or a simple review site, then WP Product Review comes handy to you. The plugins add a conversion focused review boxes to your review post. The plugins come with Amazon integration (also work with other affiliate programs), thus preloading the features automatically. You can create a comparison table thus comparing various products of your sites. The plugin also comes with rich snippets which help you to show star rating in the Google search results. WPForms is a user-friendly and easy to use WordPress form builder plugin. It's easy to drag and drop functionality let you build forms very quickly and easily. You don’t have to write a code for creating a form. There are few templates available from which you can choose and fasten the process of form making. It is platform independent and also responsive across mobile, desktops, and tablets. You will be instantly informed when you get a lead with the help of instant form notification feature. I think there is no need of explanation. It's a kind of plugin; I wish should come preinstalled with WordPress installation on new sites, unlike useless Hello Dolly plugin. With the help of WP Notification Bar Pro, you can display a particular notification bar in your WordPress website to highlight important information and announcements for your readers. You can also show running campaigns and promotions if you have an e-commerce store on WordPress. It is responsive and works perfectly with any responsive Theme. You can also choose whether the users will be able to hide the offer pane or not. You also have the rights to position the notification bar on your website. You can make it static as well as absolute. Will you ignore a product launched by Brain Dean from backlinko? Few may be, but I Can't. I purchased his product "YoRocket" immediately upon its release. Now I feel, blogging might be incomplete without using this plugin. Only when the YoRocket score shows 100%, I will publish the blog post on my niche sites. YoRocket is the plugin which improves your sites Click To Rate in Google search results. High CTR gives you the massive traffic and thus improving your sales or affiliate income whatever may be. Is this the best WordPress plugins 2019 list? Not. But as a blogger, I can assure that most of the plugins I mentioned here are more than enough to use for a medium level blogs, while for high-level blogs such as e-commerce sites, one need to use some more e-commerce plugins. Thank you, Patrick. I will try to test in on my niche site and I will update this post, once if I find it useful. I feel WordPress blogging might be incomplete without a plugin to use. I have used some of the plugins on my website, they are very easy to integrate and setup. They are working properly without throwing any error. I would strongly recommend this article to some of my friends. I use wordfence for protection. What is better ? itheme or wordfence ? Really its hard to compare those two plugins. However in terms of fluid UI and less size, I do use ithemes security plugin. Your listed plugins are surely beautiful and useful some them I used for my client’s website. But i want to add Blog Designer– https://codecanyon.net/item/blog-designer-pro-for-wordpress/17069678 which is also a very good plugin to beautify your website. Thanks for the link, Michael. I will have a look into it.